We specialize in anxiety relief and unrivaled patient comfort. Your dentist in downtown Toronto has been serving up beautiful smiles for over 30 years. Dr. Cheng prides himself on using his skills and credentials to help patients feel comfortable and confident – both in his office and in their smiles. His gentle approach and in-depth expertise are a combination his patients appreciate. Visits are stress-free and pain-free, with top-quality results that leave everyone smiling. As a highly respected member in his field, Dr. Cheng continues to increase his knowledge and in turn enhance his patients’ experiences. Our professional, friendly dental team is here to support you, make you feel comfortable, and ensure every experience you have with us is a positive one. Our team speaks a number of languages including English, Cantonese, Tagalog, Russian, and French. Feeling nervous about your visit? Need a dentist in a convenient location? We have you covered. 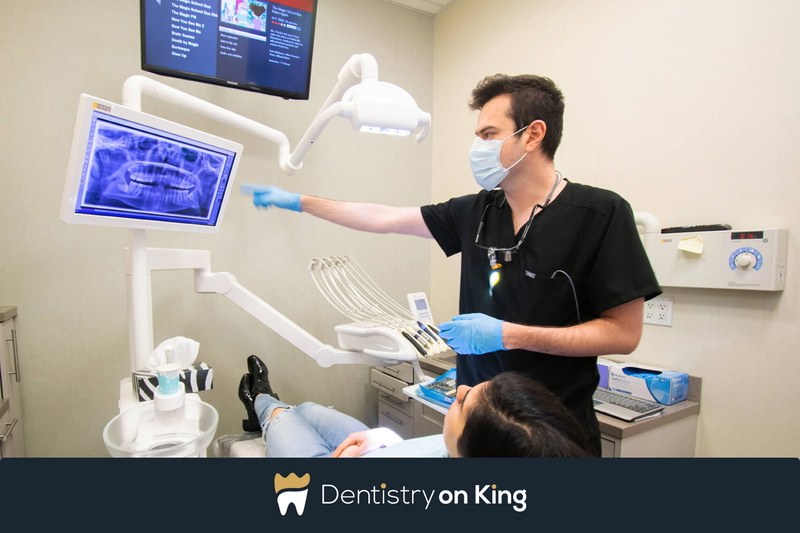 Enjoy breathtaking dentistry in comfortable, modern surroundings. Our treatment rooms are filled to the brim with modern equipment. Each room is specifically designed to promote patient comfort and relaxation. Led by Dr. Cheng, our team pursues continued education for the benefit of each patient. Dr. Cheng is happy to answer any questions you have about your dental health.